This is a screen printed Magnus Bane inspired T-Shirt. 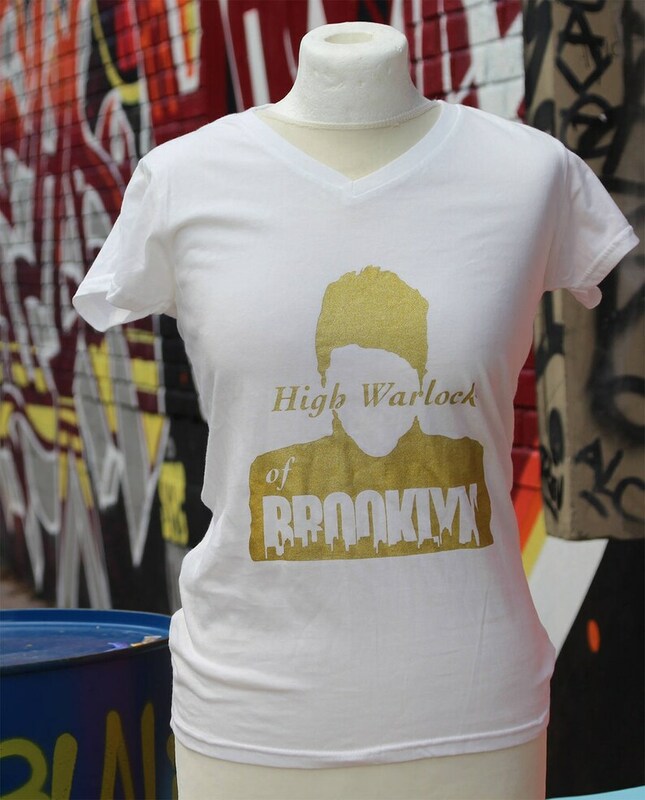 He is after all the High Warlock of Brooklyn. If you want to, you can complete the set with our Alec Lightwood inspired T-Shirt to show off the Power Couple that is Malec. The T-Shirt ist printed with a beautiful gold sparkling color. And you can chose between a black or white T-Shirt. Sizes run a tad bit small for women’s size but it’s still great quality and I love it! Es war viel drin .echt toll. Loved the surprise bag. There were so many surprises inside and I loved all of them. Already ordered another one for my friend's birthday. Thank you so much.